Don’t let your fear of flying limit the holidays you take or adventures you have. Yes, it may be a scary thought but it’s important not to let this hold you back from what you want to do. The longer you avoid flying the more daunting the prospect will become. Refusing to fly can affect your personal relationships and even career so be determined not to let it get the better of you. There are lots of things you can do to figure out how to overcome fear of flying. It’s down to each individual to find out what works for them. Start preparing early, there are tips you can use both before you take off and while in the air. Do some research to understand exactly what happens on a plane. This will help you to account for any strange noises or turbulence which would otherwise cause you to panic. You may be fed up of hearing that you’re more likely to be injured in a car or on a bike but this is true! Flying is actually the safest mode of transport with a minuscule number of accidents compared to driving. Never underestimate the power of deep breathing. This is the only automatic function of the body that you have control over. It’s a really useful way to reduce anxiety and can help the body to calm down quickly. If you’re in a real state and find yourself hyperventilating, breathe into the sick bag found in front of your seat. Do what you can to turn the flight experience into something to be enjoyed. How often is it that you get time to yourself to kick back with a good book or watch the latest blockbuster? 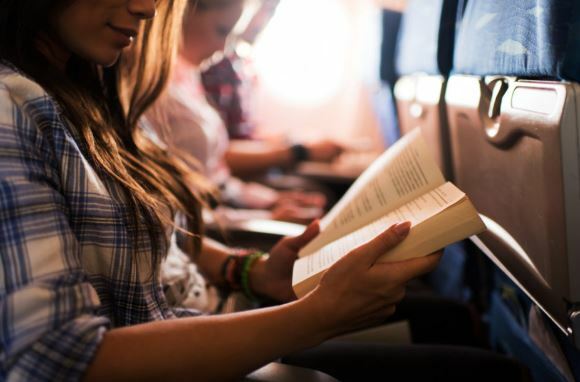 Bring a book and a tablet with you or avail of the inflight entertainment. It’s amazing how quickly the time will pass if you’re focused on something else. Remember the reason you’re on the plane. This is a great way to overcome fear of flying. Instead of dwelling on morbid thoughts, consider how much fun you’re going to have when you arrive at your destination. Distract yourself with a guidebook or photo of where you’re jetting off to. With a physical image in hand, your mind is much less likely to wander. Stay away caffeinated drinks as these can result in a hyper state of mind and exacerbate your anxiety. Likewise, dehydration can intensify your fear, as well as jet lag, and cause you to feel even more uncomfortable. Drink plenty of water throughout the flight and move around the cabin to normalise the situation. Alcohol and sleeping tablets won’t do anything to combat your fear in the long run so these are also best avoided. Follow our top tips and feel your worries slowly float away. Remember that fear of flying is a very common phobia and you are not alone in your anxiety on flight. Try to think rationally about the situation and focus on other things, like where you’re headed or inflight entertainment, to make the journey go by as quickly as possible. You’ll thank yourself when you have an incredible time wherever you land. 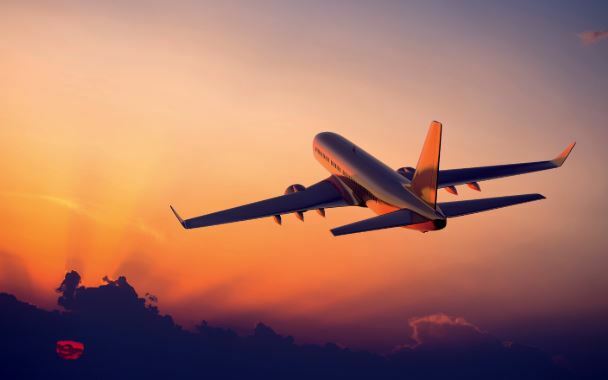 As you take a practical approach to find out how to overcome fear of flying in your own individual circumstance, remember that for most people fear of flying reduces with experience. The good news is that generally speaking the more you fly, the easier it gets. TMB are here to help, get more travel health advice here.